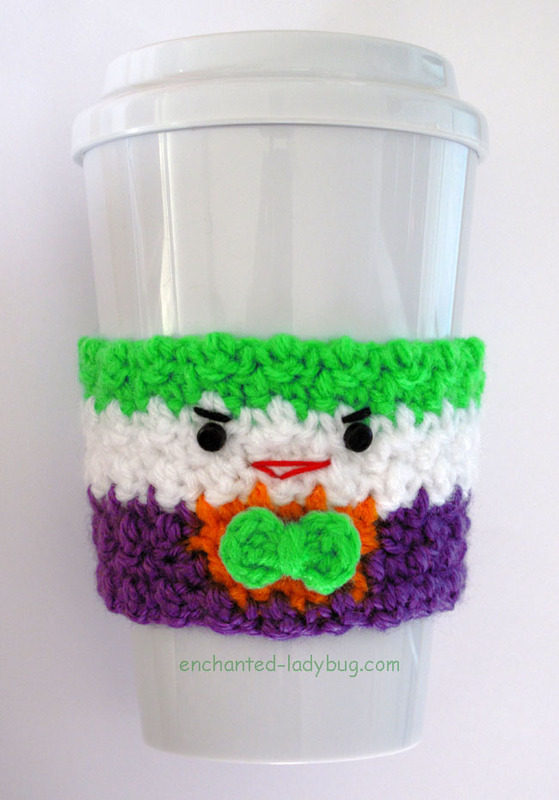 Today I am sharing my Free Crochet Joker Coffee Cup Cozy pattern! My family and I went to see the new Lego Batman movie and I really enjoyed the Lego Joker! 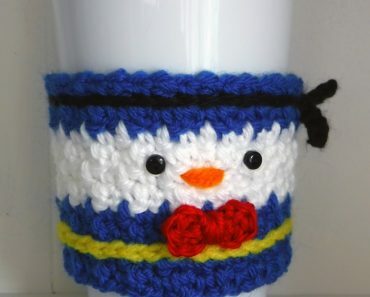 This was a fun pattern to design and I really enjoyed using the bright colors of yarn for his hair and outfit. 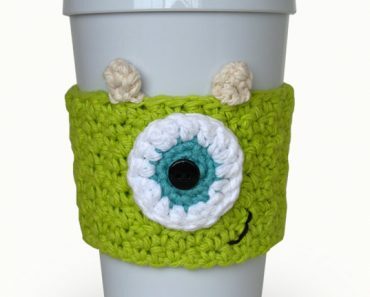 I don’t crochet with neon colors too often so this was a great project to use my bright yarn for! 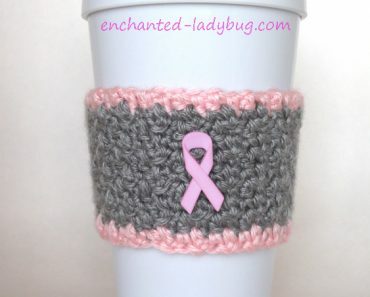 For this cozy I used a 4.0 mm crochet hook for the cozy itself and a 3.5mm crochet hook for the bow tie. I also used two tiny black buttons for his eyes, black embroidery floss for his eyebrows and red embroidery floss for his smile. I used Caron Simply Soft in neon green for his hair and bowtie. 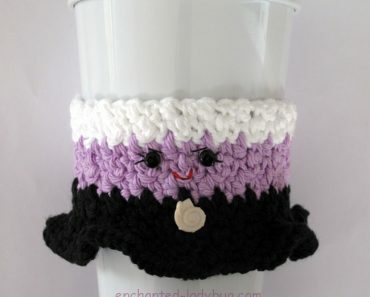 I used some bright orange that I had left over from another project and for the purple I used Red Heart Soft in lavender. 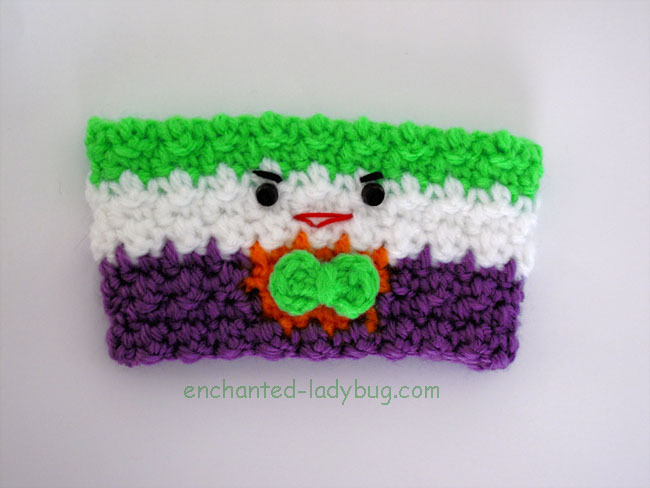 If you would like to make your own Joker Coffee Cup Cozy, you can download my free PDF pattern below! I would love to see your finished work! 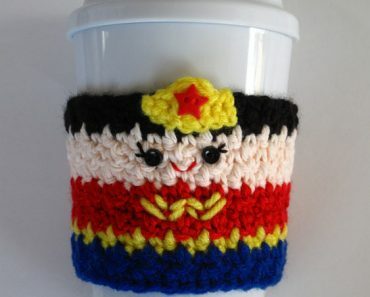 You can share your pictures to my Facebook or Ravelry pages!